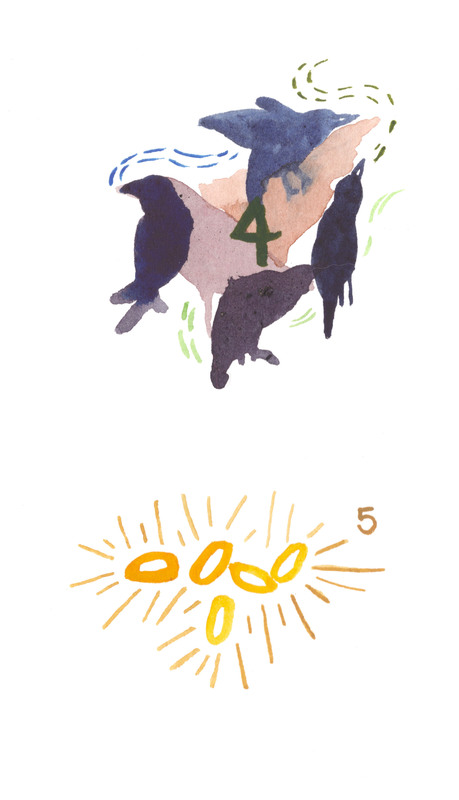 4 Colly Brids (or calling birds depending on how you know it) and Five Golden Rings. Watercolor on paper. So many birds!! Also, time to start combining watercolors. Where do the days go?